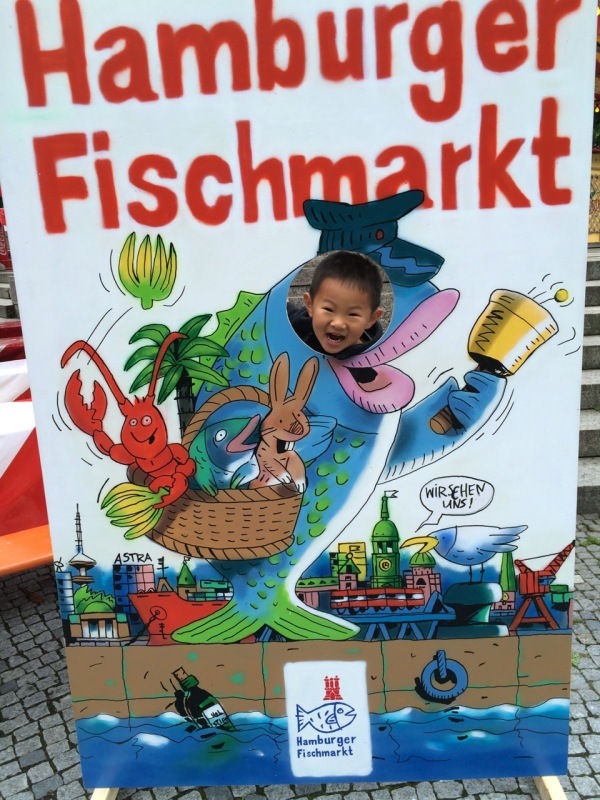 On Thursday, we decided to check out the Hamburg Fish Market in downtown Stuttgart. 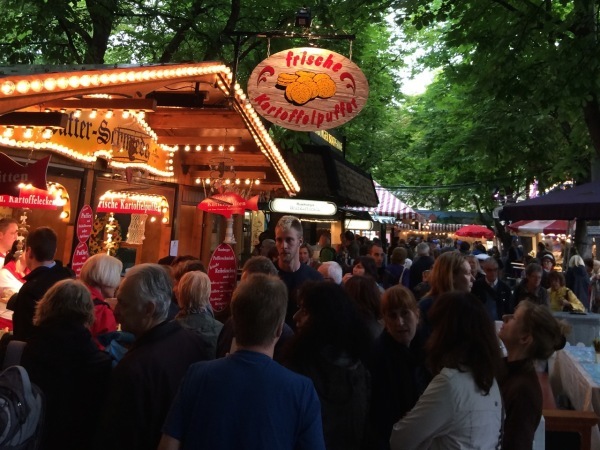 The market is another fair that is hosted in Stuttgart each year, and this one has a permanent presence near the Konigstrasse in downtown Stuttgart. We found parking and were able to find the festival right away. Since we were there on opening day, everything was fresh and clean, and all the workers were enthusiastic and helpful. We tried some food like prawns, shrimp, clams, white fish and hush puppies. 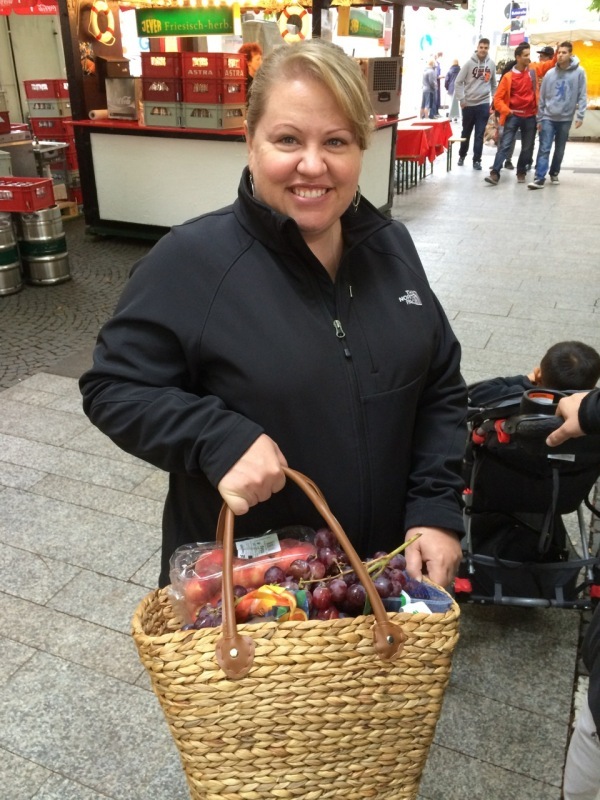 Ronda bought a basket of fruit for 12 Euro from a vendor (she thinks the basket is worth more than 12 Euro!) We also found the ice cream! It was a fun time and just another thing to bring back folks who come to visit. Who’s next?